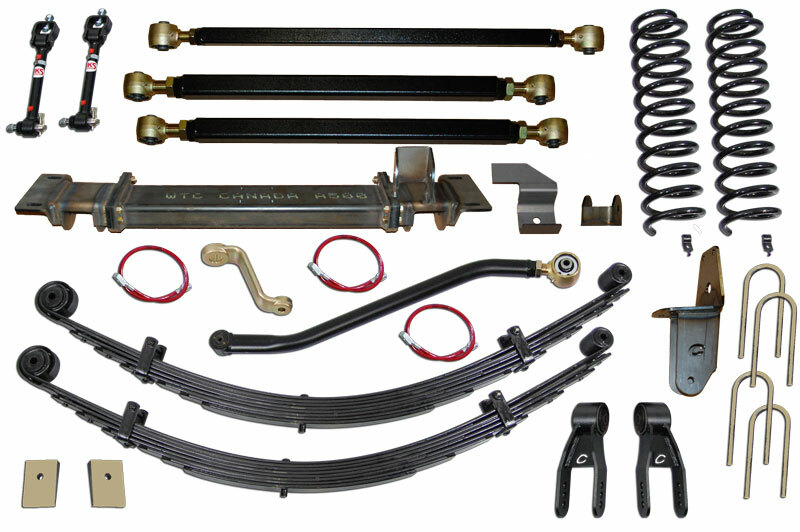 Clayton Off Road Inc. builds the ultimate 3 link suspension system. We start by using pro series arms. Pro series arms feature forged johnny joints at both ends for maximum flex and adjustability. We use the same 3 piece cross member used in all our long arm kits for easy access to your transmission. The new 3 link mount comes welded to this 3 piece cross member along with a 1/4 uni-body brace which wraps around the unibody for added strength. If you are using a stock D30 front axle you can use the optional3 link bridge or truss. This gives you a very strong mounting location to attach the top 3 link axle mount. This mount will NOT work on any aftermarket axle. We will include a standard 3 link mount which you can to your axle or bridge depending on our axles configuration. Another advantage is our HD trackbar and double sheer drop bracket. The trackbar bracket is laser cut, CNC bent, and put the large 2.5 inch forged Johnny Joint in double sheer, allowing for maximum flex. The trackbar uses a HD bushing which uses a grade 8, 9/16s bolt at the axle end. When using the Pro-Series lower arms, we highly recommend the Heavy duty lower control arms, which have a skid plate to protect the lower johnny joint.